It is not news that customization is an important factor in cyberpunk 2077, and the recent preview walkthrough he has confirmed this. This customization extends beyond the ability to equip the character with bionic prosthesis or to control its actions: in the new title of CD Projekt Red it will be possible exercise a granular control on the classes to which the character belongs. First of all, the default classes they will not be traditional ones in a RPG of this type, but will be effectively based on the peculiarities of the setting, just like in the board game. It will therefore be possible to be a journalist, a rock star or a career manager. 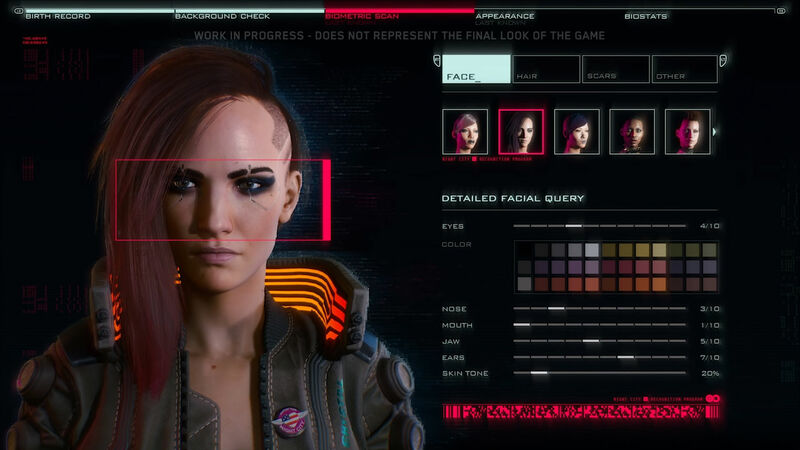 But the news does not end here: in cyberpunk 2077 it will not be necessary in fact choose a class at the beginning of the game, and we will not be forced to adopt one of the predefined ones as we progress. It will instead be possible to accumulate skills of various kinds, even belonging to very different classes, over time. combining in emerging classes every time different. That said, it should be emphasized that the forty-eight minutes of gameplay di cyberpunk 2077, however extraordinary, they do not give yet an overview the appearance of the class system once developed. What we have seen so far seems to promise well, but we can only be certain when the title is completed and published. Currently there is no date launch officer for cyberpunk 2077, which will arrive on PC, PS4 and Xbox One. next articlePlayStation 5 would continue the custom of Greek codenames with "Erebus"